Before Christmas I mentioned the fact that around where I live in South East London, there are not many places to casually fish. There are plenty of day-ticket waters within an easy drive but by the time you add the fuel, time and ticket money together it is only worth while if the trip is for the whole day. 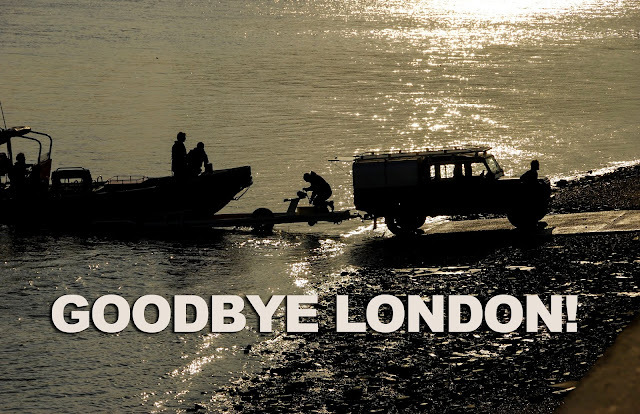 When I discovered dropshotting I was instantly drawn to the idea of light tackle, small lures and the idea of going fishing by public transport, using my Oyster card - see HERE. I think the popularity of dropshotting caught everybody out. Fox published a promotional video back in December 2013, see below. By the time I was interested in dropshotting in December 2014, it was the must see (and still is!) video for anyone interested in having a go at this most appealing branch of our hobby. The video shows both how to rig the gear and how to use it. Before Christmas it was hard to find a supplier who had the rods and reels in stock and the Fox Jig Silk was, and still is, impossible to find - at least I have not been able to find any and at this time I understand that Fox are awaiting further supplies.